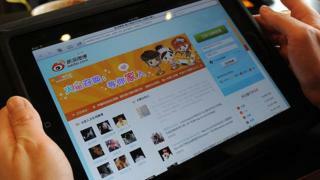 There are now more people using Sina Weibo, the Chinese micro-blogging platform, than there are using Twitter. According to the Chinese company’s first quarter results, it has 340 million active monthly users, 30% up on the previous year. About 154 million people use the site daily, 91% of whom access it via mobile. By comparison, Twitter, which is blocked in China, has around 328 million active monthly users. “Our relentless focus to build the best social media experience in China is reflected in Weibo’s strong performance,” Gaofei Wang, Weibo chief executive, said in a statement. China has an estimated 731 million web users, more than 90% of whom can access the internet via a smartphone, according to the China Internet Network Information Centre. Sina Weibo is the most popular of China’s micro-blogging services, and it is the preferred platform for most mainland Chinese newspapers and TV stations, which have millions of followers. Last year, seeing how popular live streaming video was becoming, Sina Weibo launched its own live streaming app, Yizhibo, nicknamed “Yi”. The success of mobile messenger WeChat (China’s answer to WhatsApp) has challenged Sina Weibo in recent years, with increased smartphone ownership in the mainland influencing social media users to read news on their phones, instead of computer screens. But Sina Weibo has remained competitive by making a number of strategic partnerships that have given host to an array of new functions, many of which go even beyond those of Twitter – which is blocked in China. In 2014, e-commerce giant Alibaba, which owns a 31.4% stake of Weibo, helped boost the platform’s e-commerce capabilities with the introduction of “Weibo Payment”, enabling users to shop online using the service. But with WeChat heavily investing in similar capabilities last year, Weibo made a perhaps daring move to introduce live streaming capabilities to its platform. It had earlier shied away from replicating Twitter in doing this, given that the Chinese government is nervous about politically sensitive issues reaching widespread awareness. Twitter is blocked in China, along with Facebook, Google, YouTube and many foreign news websites. The number of people actively using Twitter has continued to rise by about 6% each month, but in April it revealed that its revenue from advertising had fallen by almost 8% in the space of a year. Chief executive Jack Dorsey said the company “continued to face revenue headwinds”, but that user numbers had increased in part because of measures to reduce abusive content.